Ber att få ansluta mig till ”kollegan” (i all blygsamhet) Climate Sciences inlägg där man hyllar Anthony Watts för hans banbrytande arbeta med att dokumentra ALLA mätstationer i USA. 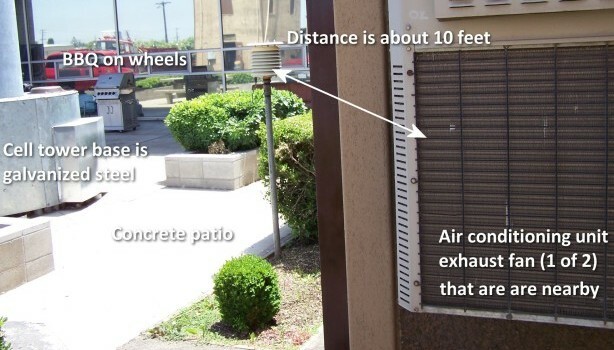 Där han har dokumenterat mycket underliga och felaktiga placeringar för dessa mätstationer – som kan sitta bedvid utsläpp från airconditioners, mitt i asfalterade parkeringsplattser etc. etc. Allt detta gör att dessa mätstationet visar för höga temperturvärden. Och tänk på att det är mätdata från dessa stationer som Global Warming Hysterikerna har använt sig för att predika Gloom and Doom. Det är en vetenskaplig skandal i sig hur en del av dessa mätstationer är placerade! Och då skall man ända ha klart för sig att USA har de BÄSTA och största nätverket med temperatur mätstationer i världen. Hans websida finns här http://www.surfacestations.org/ där många stationer finns redovisade. 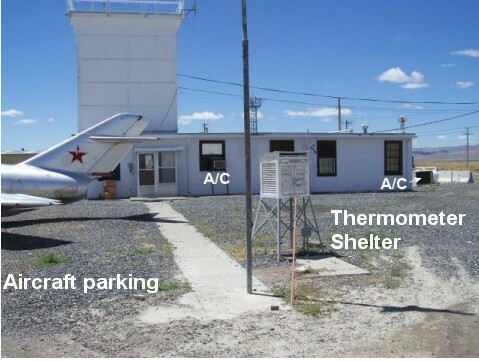 ”Anthony Watts is performing a seminal service to the climate community in leading the effort to document the immediate environment around surface temperature monitoring sites that are used to construct multi-decadal surface temperature trends and anomalies. 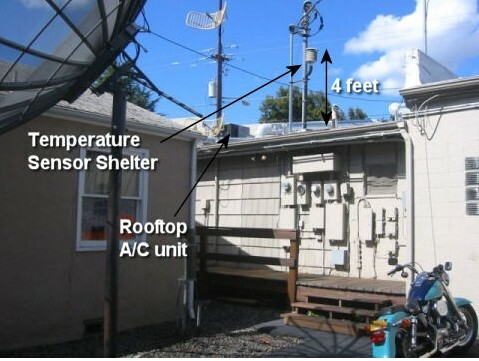 His data and analyses for the sites can be found at Weather Stations. The current Climate Science weblog is to recognize this essential contribution. This analysis should be led by Tom Karl at the National Climate Data Center (NCDC), however, he has, unfortunately, ignored recommendations to do this (e.g, Pielke Sr., Roger A., 2005: Public Comment on CCSP Report ”Temperature Trends in the Lower Atmosphere: Steps for Understanding and Reconciling Differences”. 88 pp). Thus while we hear several times a year from NCDC (e.g. see) how the temperatures rank relative to other years, the large obvious problems with the historical climate reference network, that Anthony and his outstanding volunteers have shown, should be a wake-up call to the media and to the public that they are being provided temperature information by NCDC that is not spatially representative of actual temperature anomalies over the USA, and likely has a significant warm bias. This entry was posted on 5 april, 2008 at 9:26 e m and is filed under Miljö - Environment, US Temperature, USA. You can follow any responses to this entry through the RSS 2.0 feed. You can leave a response, or trackback from your own site.